Two faculty members in the College of Food, Agricultural, and Environmental Sciences (CFAES) – Dr. Mark Erbaugh, Director of the Office of International Programs in Agriculture, and Dr. Chris Igodan, Professor, Ohio State University Extension – traveled to Nigeria at end of November to meet with faculty and administrators at the Adeyemi College of Education (ACE) in Ondo State, Nigeria. 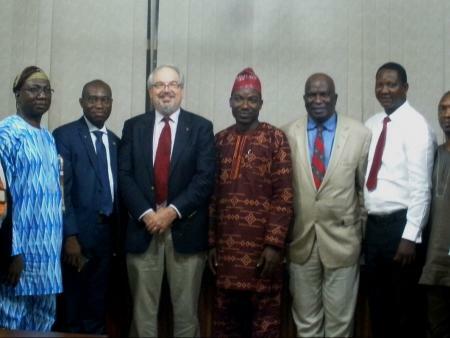 The visit was made to renew a former partnership that dates back to 1964 and to explore opportunities for Ohio State CFAES faculty and extension professionals to collaborate with ACE in revitalizing the agricultural economy of Ondo State through the development of new training and outreach programs. The visit comes at a time when the Nigerian government has renewed interest in revitalizing its long neglected agriculture sector in which 71% of the population still depends as its main form of livelihood. This interest has been further stimulated by the recent plunge in oil prices, Nigeria’s main export, and continued high population growth rates that have had dramatic impacts on youth unemployment, leading the government and donors to take a critical look at investments needed to enhance the country’s agricultural productivity and overall employment. Erbaugh and Igodan were welcomed by the Governor of Ondo State, Olusegun Mimiko, and the Provost of Adeyemi College of Education, Professor Olukoya Ogen, who both expressed a strategic interest in making employment in agriculture more attractive to Nigerian youth. 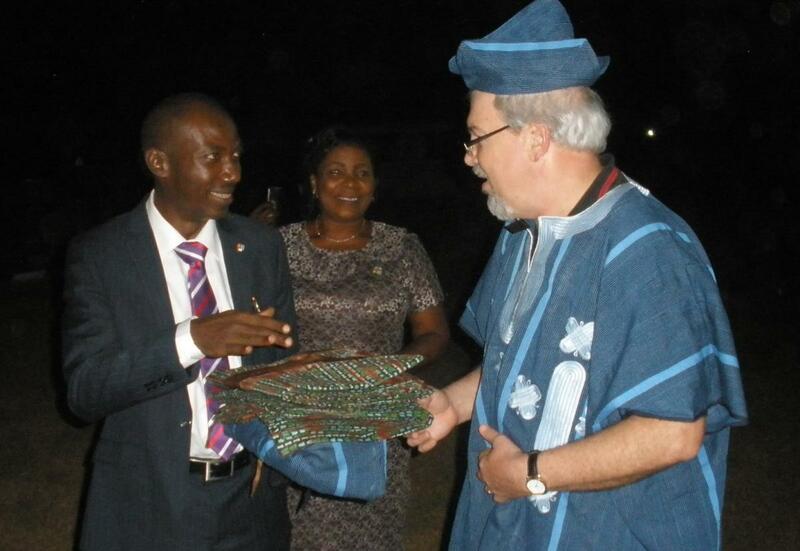 “Agriculture remains the only sector that can guarantee empowerment for the unemployed youth in our country,” said Professor Ogen, who added that possibly partnering with a comprehensive, land grant university in the U.S. like Ohio State could bring about sustainable impacts to Nigeria’s agricultural development. Such is the vision of Provost Ogen, who recognizes the contribution agricultural institutions of higher education can make to agricultural development. Ohio State would also benefit considerably from this collaborative relationship. “We live in a global society and our challenges, even those faced by our domestic agricultural systems, have a global dimension,” says Mark Erbaugh, who currently serves as the Administrative Director of the Innovative Agricultural Research Initiative (iAGRI), a major food security project in Tanzania funded by the United States Agency for International Development (USAID) and managed by the Office of International Programs and Agriculture at The Ohio State University. Erbaugh and Igodan plan to continue exploring potential opportunities to maintain the partnership with their contacts at Adeyemi College of Education with the hope that they can devise a collaborative training program that educates the next generation of innovative and entrepreneurial agriculturalists in Nigeria.